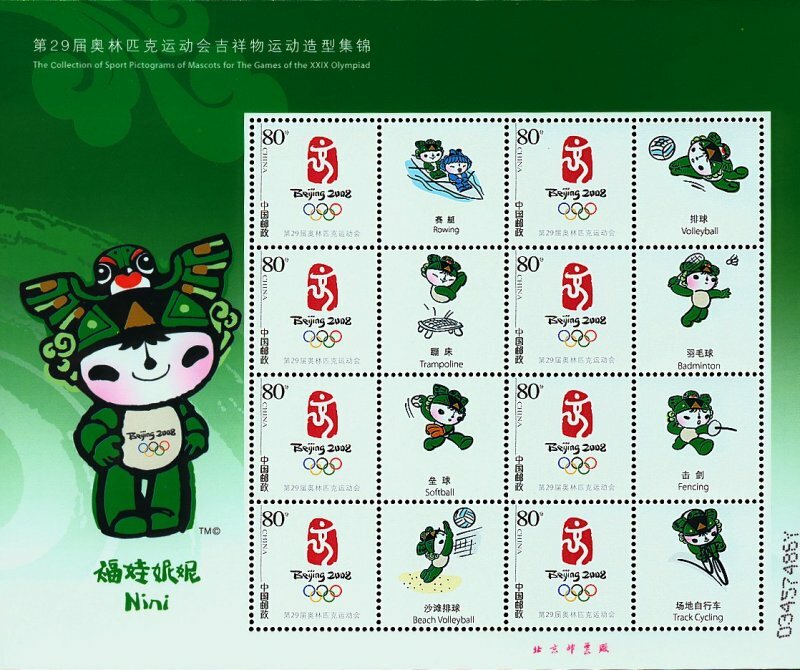 echte Briefmarke im Block ist die 80-Fen-Marke mit dem offiziellen Olympia-Logo BeiJing 2008.
stamp is the 80-Fen stamp with the official logo of the 2008 BeiJing Olympics. The volleyball representing vignette (upper row, last one) is available as genuine postal kite stamp with a denomination of 80 Fen (Mi-Nr. 3883.